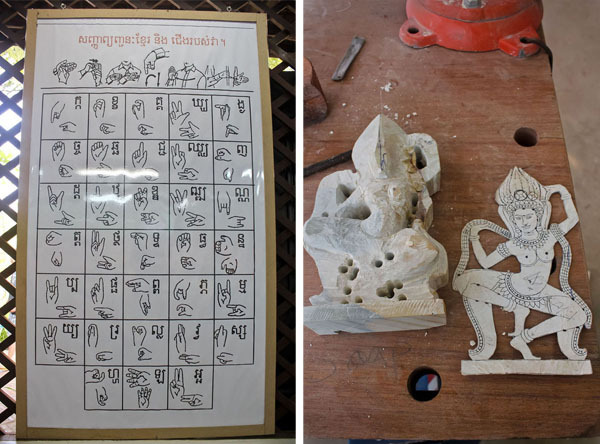 After getting templed out Nix, Del and I decided to have a leisurely day which consisted of a slow lunch, checking out Artisans Angkor and walking around our area. We had lunch in the Pub Street area which was a good 10 minute walk from our hostel. 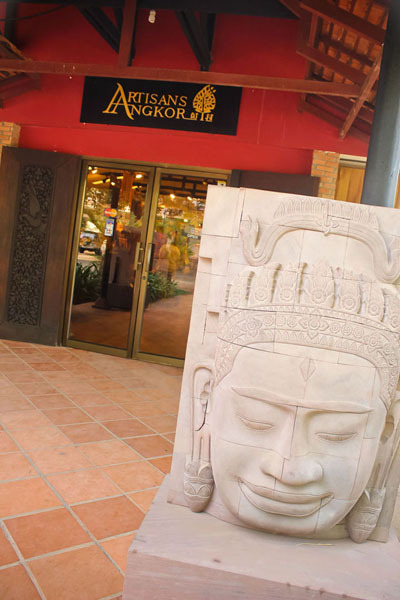 From lunch, we were informed that Artisans Angkor Main Showroom was actually a good 10 – 15 minute walk from Pub Street. We take on the challenge in the blistering heat and headed to the complex. It was through that walk that I was introduced to the shake stand outside Max Mart. 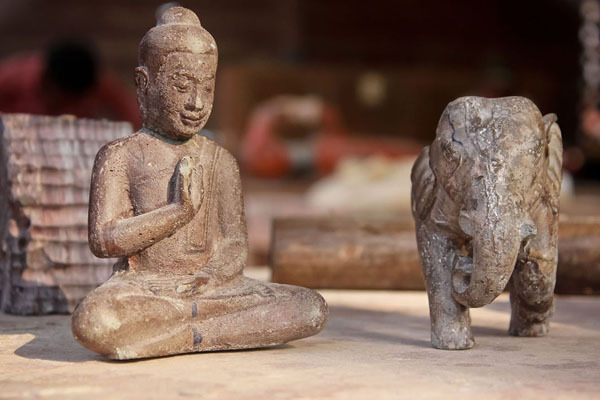 “Artisans Angkor is a Cambodian company which was originally created to help young rural people find work near their home village. 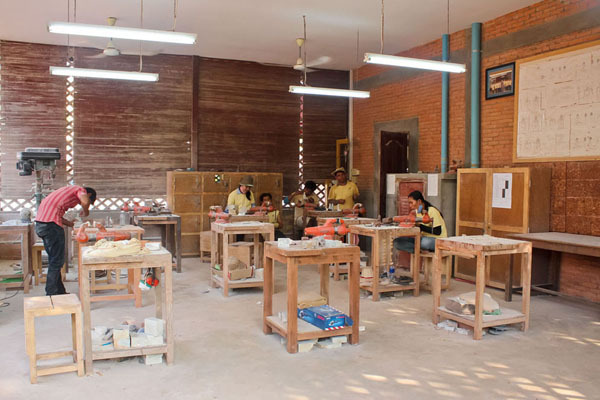 As the offshoot of an educational project called Chantiers-Ecoles de Formation Professionnelle, aiming at providing professional skills to communities with limited educational opportunities, Artisans Angkor has maintained its commitment to education by developing its own training program. 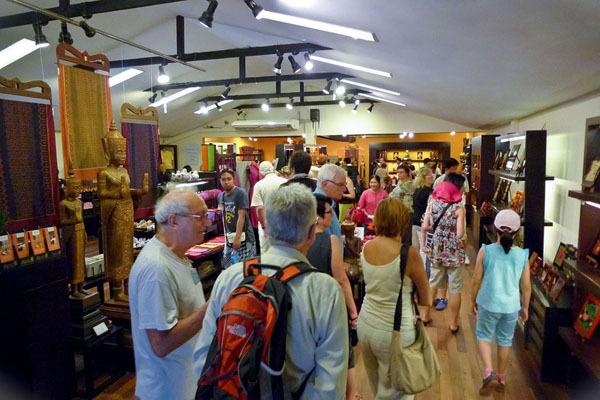 At the main showroom, you have the option to take a guided tour of the compound or just shop. We decided to look around and visit the different work rooms before shopping. Scenes from the Polychromy and Lacquering Workshop. You can see the statue in different phases of production. 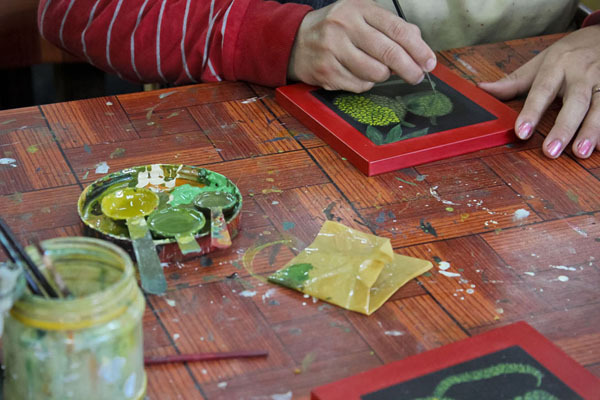 Artisans Angkor employs handicapped individuals as well. One of the beautiful silver products being worked on. I had a lot of questions for the workers but couldn’t converse with them since I didn’t know how to speak Khmer. Unfortunately photography isn’t allowed inside the store but Nix was able to sneak a shot. The store was neat as a pin and tempted me every step of the way. 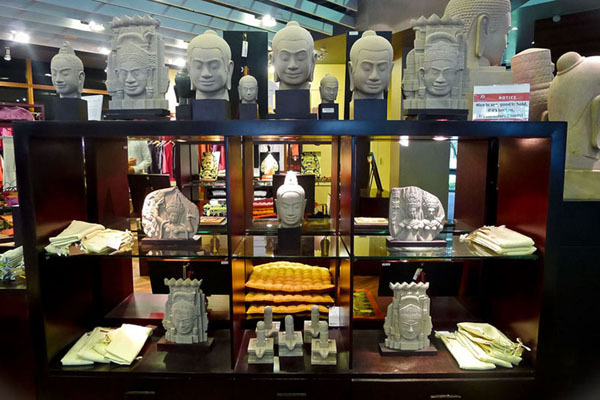 I had a pleasant surprise when I saw the Artisans Angkor products being sold in the Siem Reap International Airport AND photography was allowed. 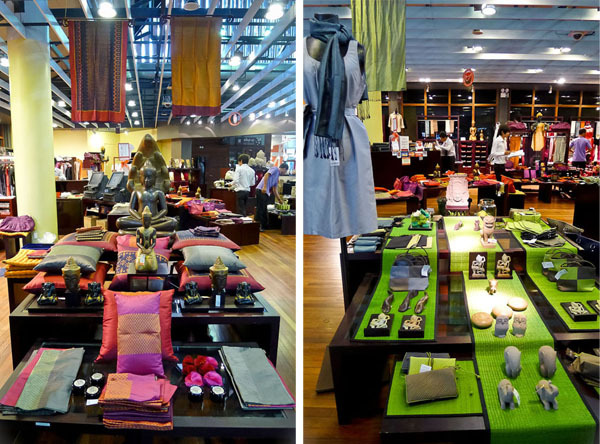 The product photos you see in this post are from the airport and not the main showroom. Since Danix and Berenice didn’t join me on the tour of the main showroom, Danix exhibited the same glee I did when I was in the showroom. I had to literally drag her away from the store to prevent her from shopping since her pasalubong allocation has been used already. 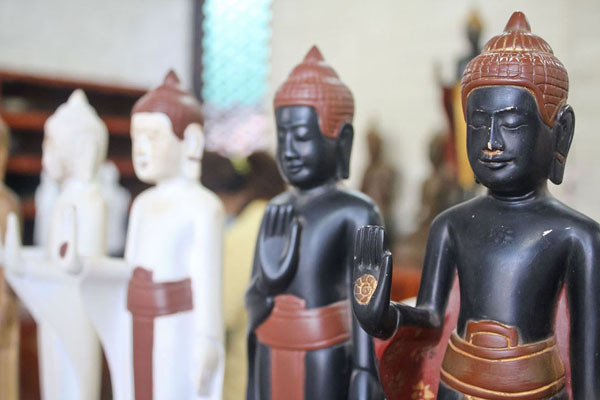 Going back to the showroom, you can buy authentic Cambodian art and handicrafts here. 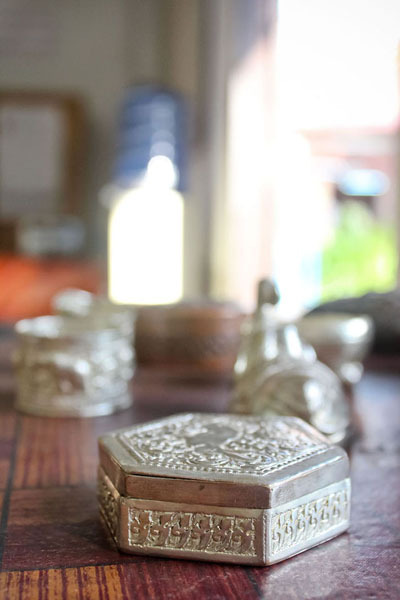 They sell an assortment of stone, lacquer, polychrome, wood and silver plated products. 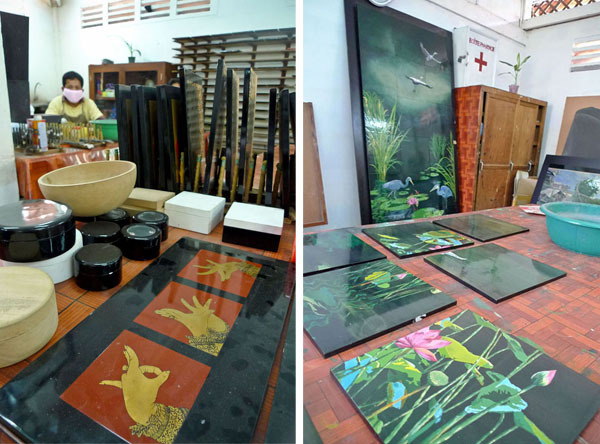 You can also purchase some paintings or silk items. 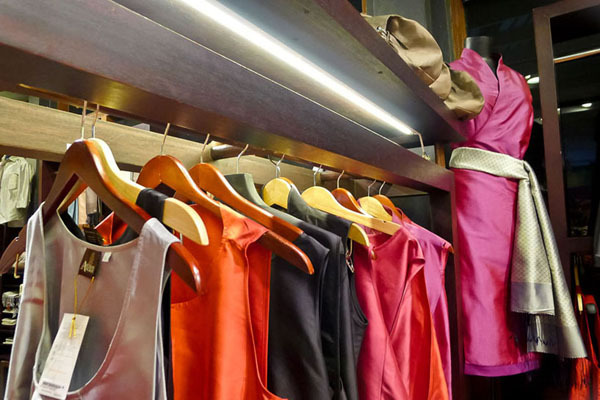 It’s like a mini department store – they have everything for everybody! 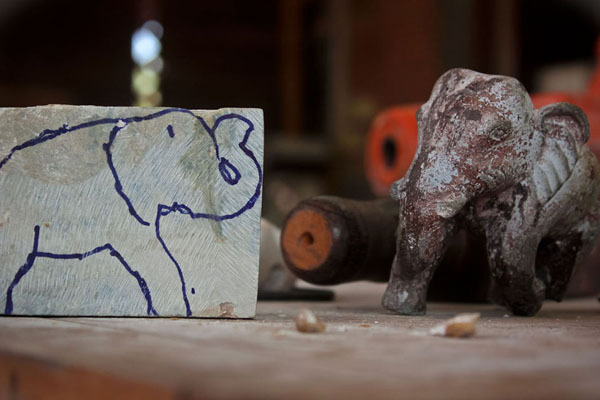 If you’re looking for a gift for your parents, kids, boss or something for your house, you will find it here. 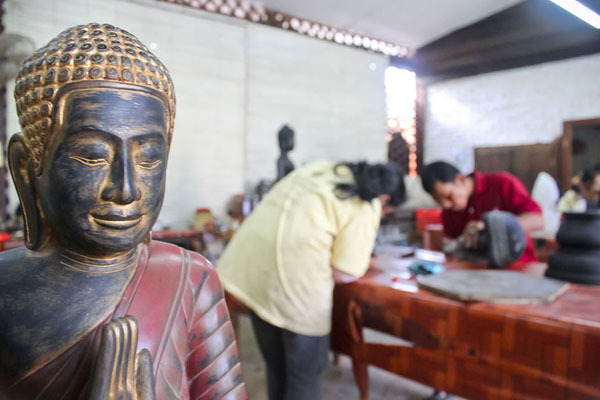 Artisans Angkor also delivers internationally so taking home bulky items is not a problem. 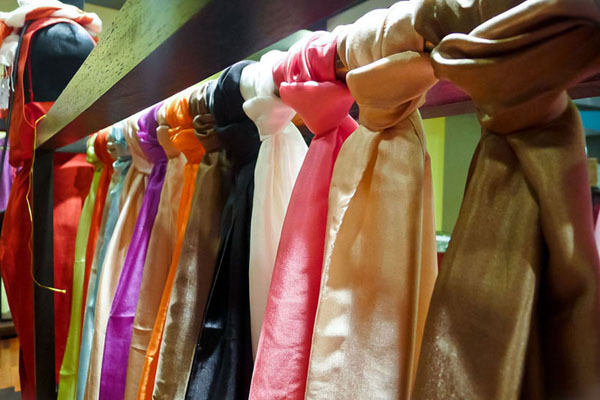 Besides the usual silk products, I took a liking to the silk dresses and blouses that screamed power dressing. 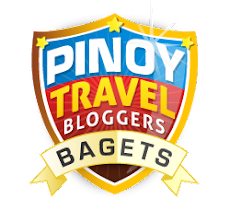 (pang mayaman! Hahaha) If I were in the corporate world, I would love to don these dresses when I hit my 40s. I saw this Caucasian businessman (I assume he was there for work, he was with a group of men in suits) picking a dress for his wife. I really wanted to buy a souvenir pace made of stone or polychrome but they were above my pay grade. 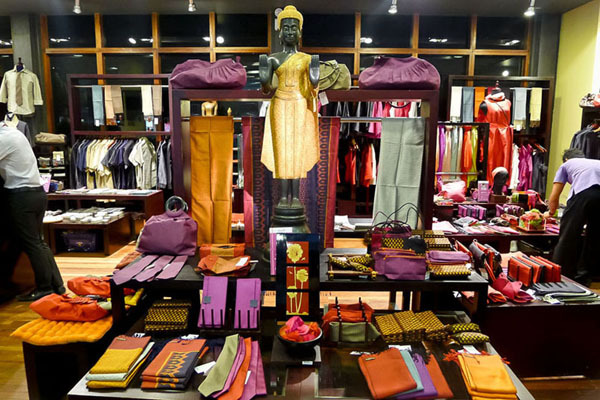 For people who adorn their house with pieces from their travels, you will have difficulty narrowing down what piece to take home with you. 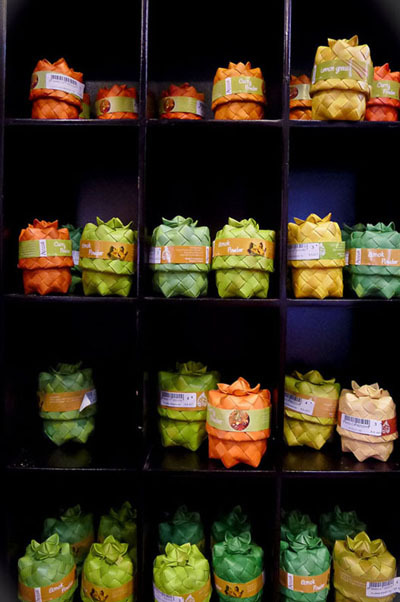 Artisans Angkor totally got me with their packaging. I know that the spices were available for a much lower price at the market but how can you say no to these? 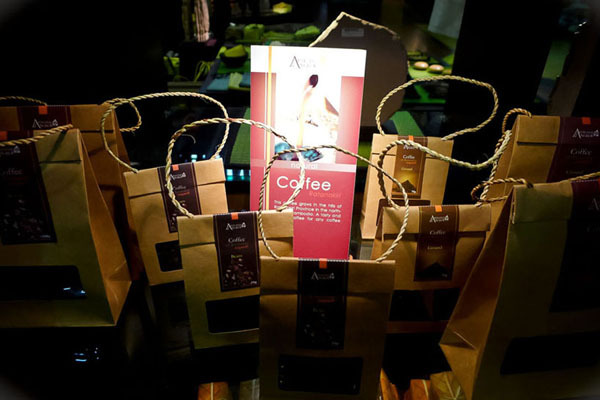 The items were packaged in such a beautiful way. 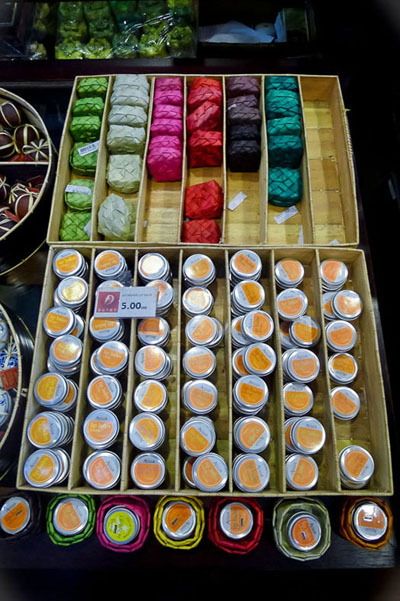 The spices can be bought individually or in sets of 3s or 4s. 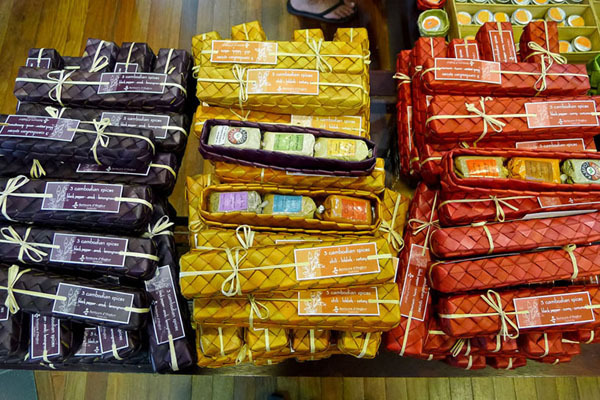 Artisans Angkor has fliers of recipes for the spices they sell so you can easily use them at home. Isn’t that phenomenal? I gave the spice set to my sister who has since tried them out. 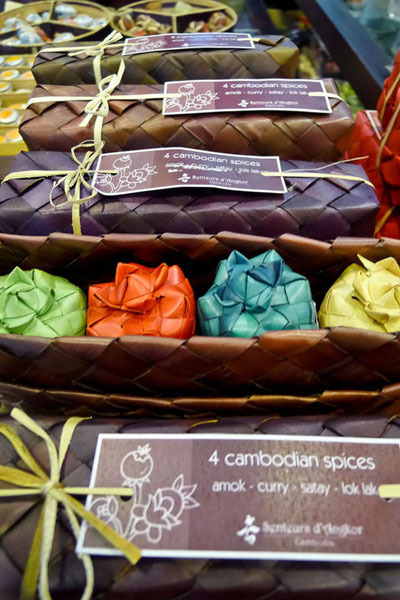 The Cambodian Lok Lak is actually the Vietnamese salt and pepper combination. I told you I get swayed by packaging! I wanted to buy these tea and coffee sets but realized I had no addict to give them to. 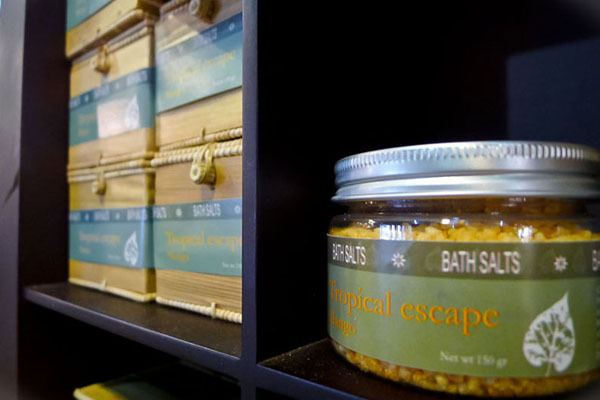 They have a range of bath and beauty products that are packaged simply and gorgeously. 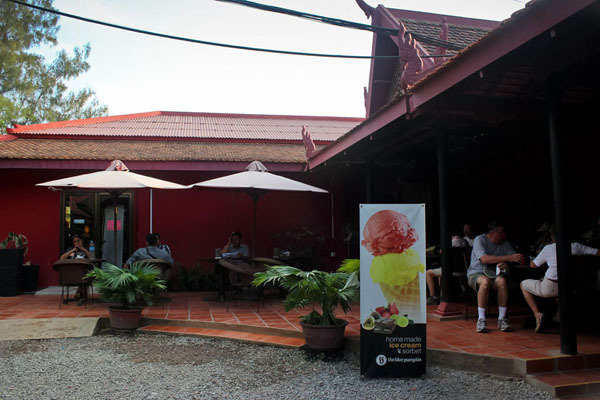 There is a Blue Pumpkin branch inside the compound which meant one thing: ice cream! It is a café so you can also order food and drinks. 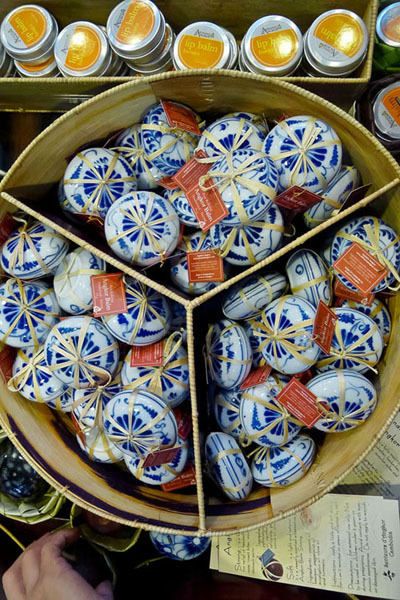 I honestly wished we had a store like this in the Philippines because their packaging execution is not at all that difficult or rare but elevated the products. 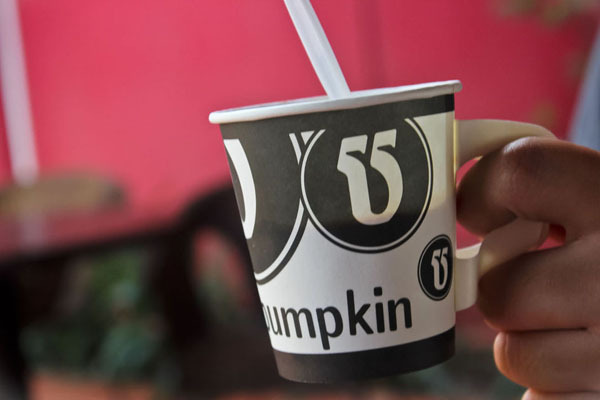 Mad props to whoever created their branding design – it is simple but elegant. 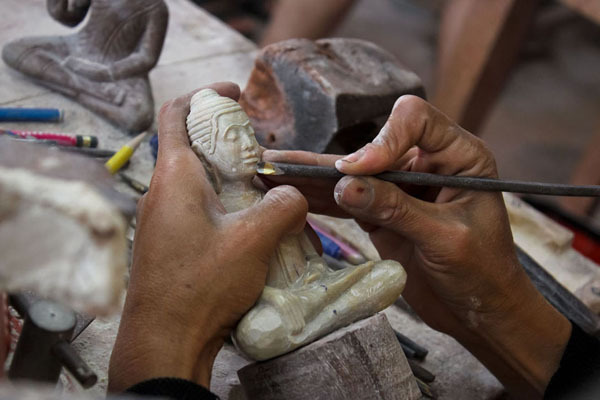 Packaging aside, Artisans Angkor keeps their crafts alive which is a problem the Philippines has. 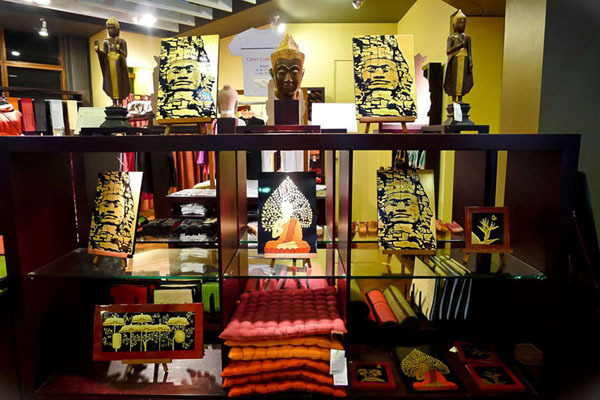 Not only that, Artisans Angkor is the top of mind brand for quality souvenirs in Cambodia. 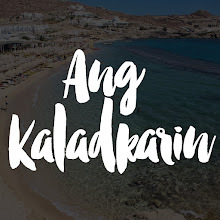 I dream of a time when my country will also have a brand that keeps my country’s traditional crafts alive through excellent merchandise, supports that industry and its workers while being packaged in a fabulous way. 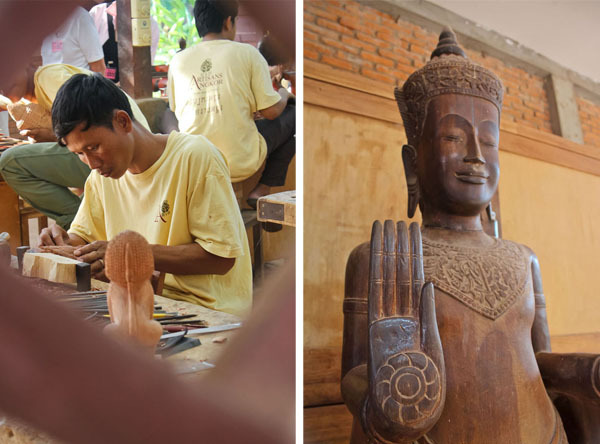 * Additional photos from the Artisans Angkor Website and Nix Sionosa. 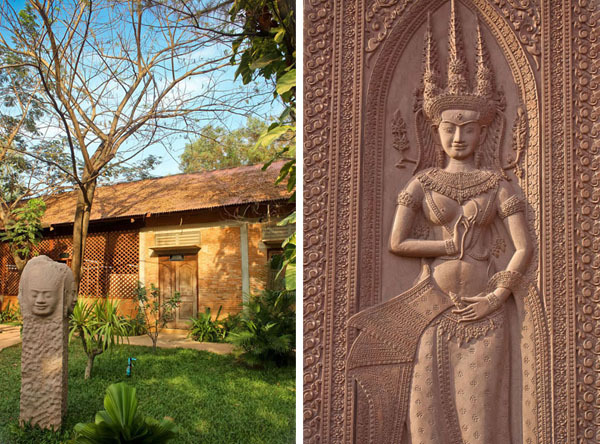 Discover other Siem Reap hotels.